KEY TECHNOLOGIES: A crisscross pattern on the flange helps alignment. 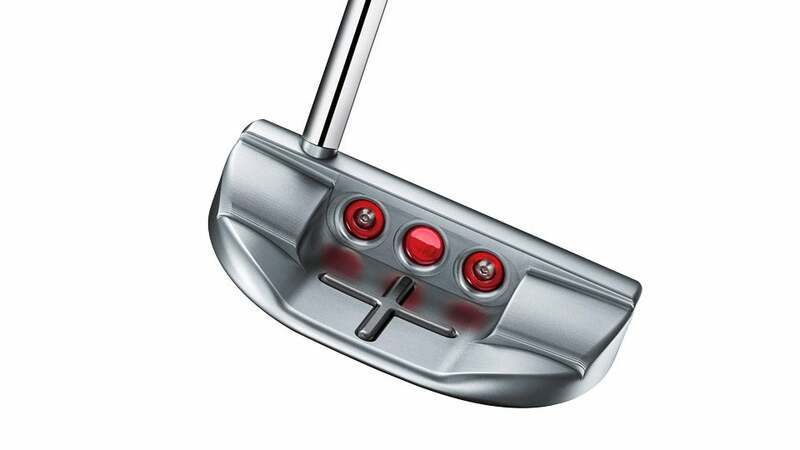 DISTANCE CONTROL: Tops in its class -- long putts roll to tap-in range all day long; excellent feedback lets you figure out new greens in no time flat; some help on mis-hits, which lose just a little distance. FEEL: Smooth balance and a heavenly feel on center contact lead to rhythmic strokes; midsize grip tones down hand movement without compromising feel; aluminum face is marginally duller on mis-hits; adjustable weights on the sole. LOOK: Testers are thrilled by the elegance and craftsmanship -- silver finish with ruby-red accents, a raised cross alignment aid and sole weights. Smaller head and blade-like tendencies could scare off some before they give it a fair try; the price tag can be a hindrance. BOTTOM LINE: The best midsize mallet tested should appeal to all handicap levels and stroke types -- it's extremely easy to swing, feels blissful and has a great roll. If you're willing to spend a little more, we can't think of a golfer the M1 couldn't help.